Especially for chocolate lovers. Hand-cut chunks of Valrhona chocolates are added to our classic cake-style recipe for an even richer chocolate taste. 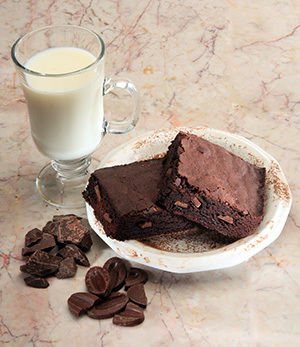 Baked right in, a generous helping of hand-cut Valrhona chocolate chunks give this fabulous brownie its unique, one-of-a-kind chocolate taste.